Samsung has formally unveiled the Galaxy Gear smartwatch, which connects to Galaxy smartphone via Bluetooth, following a number of leaks running up to the event. At around the size of a regular watch, it has a 1.63-inch AMOLED touchscreen display, 1.9-megapixel ‘Memographer’ camera on the side of the device for capturing snaps with a tap and Bluetooth on board. As you might expect of a smartwatch, it provides much of the functionality of an Android device without needing to actually touch your phone. Core to the experience is the voice control, which will allow you to carry out all the usual functions like switching music on, making or receiving calls and sending messages, as well as operating apps. 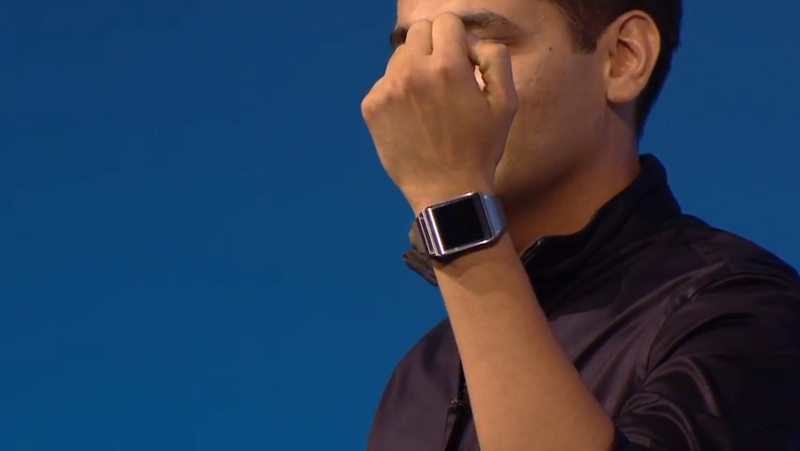 The Galaxy Gear has also been pre-loaded with Samsung specific apps and is targeting health and fitness fans with the inclusion of support for others like RunKeeper and MyFitnessPal. In total there should be around 70 apps at launch. Other third-party apps designed to run on the Gear include Highlight, a location-based app that allows you to connect to other users close by. Several new features, like ‘Handshake Memory’ have been added specifically for the launch of the Gear. 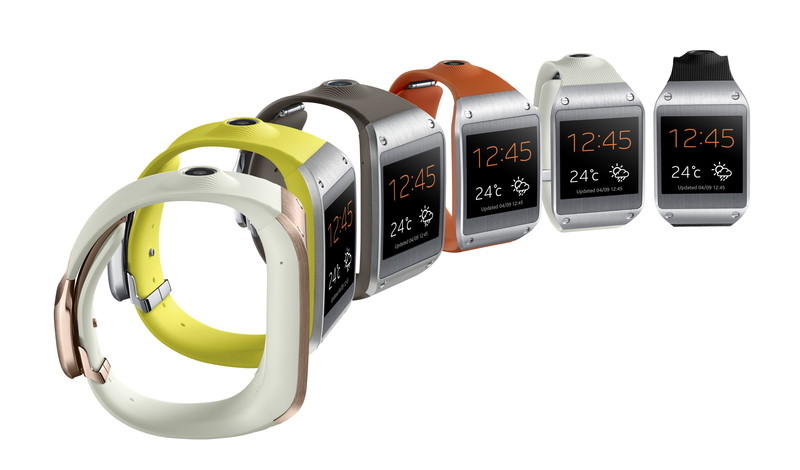 The Galaxy Gear will be available worldwide from September 25 in six colors: Jet Black, Mocha Gray, Wild Orange, Oatmeal Beige, Rose Gold, and Lime Green priced at $299. However, at launch it will only work with the Note 3 and Note 10.1, to be followed later in the year by the Galaxy S4 after it receives a software update to Android 4.3. While it’s one of the first smartphone brands to bring a smartwatch to market, it’s by no means the only one out there with rivals coming in the form of the Sony Smartwatch 2 (SW2), the Pebble, and numerous others. Apple, too, is rumored to be getting in on the smartwatch action with the iWatch, but hasn’t yet announced, or confirmed, any information regarding it.